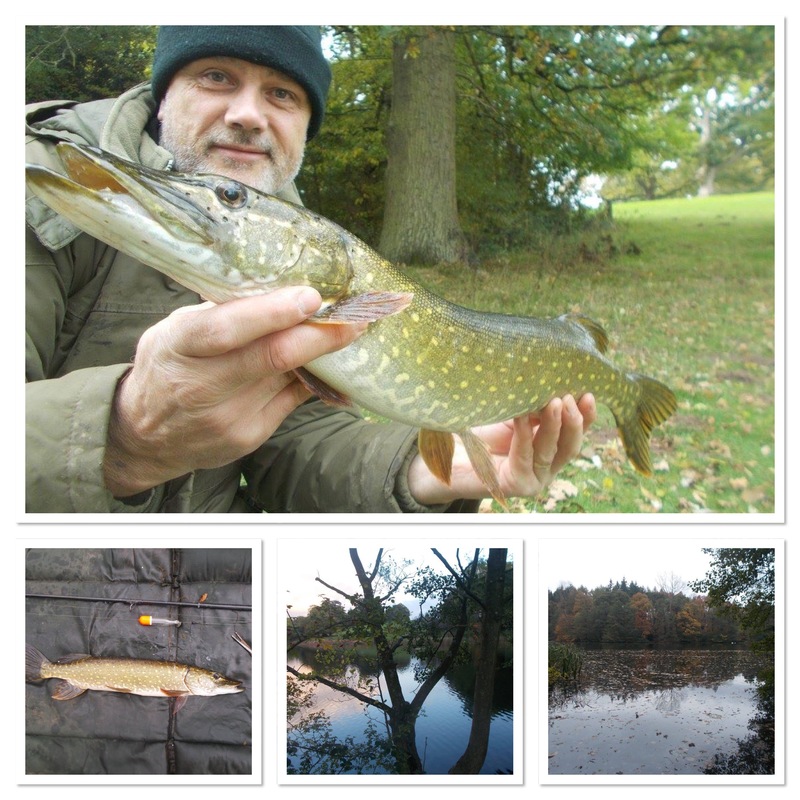 I do enjoy pike fishing, although I must confess it passed me by last autumn and winter. Not that I didn’t get out much, far from it, in fact quite the opposite. Just that I got distracted by other species, and I use the word in the nicest possible sense. This time round though, as the traditional piking month of October drew nearer, I was determined to get some sessions in. The first couple of outings saw me head for a lake in Shropshire. I fished it some years ago, at the turn of the century, and caught numerous doubles. However, after giving it a miss for a while and only returning in the last few years or so, I have not caught anything even troubling the ten-pound mark. The fish are still in there, but for some reason they’re all mid-singles. However, it is a beautiful venue and so I’m more than happy to fish it for the surroundings. It’s also a great nature spot, although this time round nothing special on the bird front, just grey wagtail, kingfisher and raven. Of course though, I’m there to fish and I did catch my target species. In the video I emphasise the importance of striking early when pike fishing. Without doubt, you do develop a sort of sixth-sense over time, but in the early days of stepping out it’s best to pull out of a fish as opposed to deep-hooking one. Of course you also need the right gear. 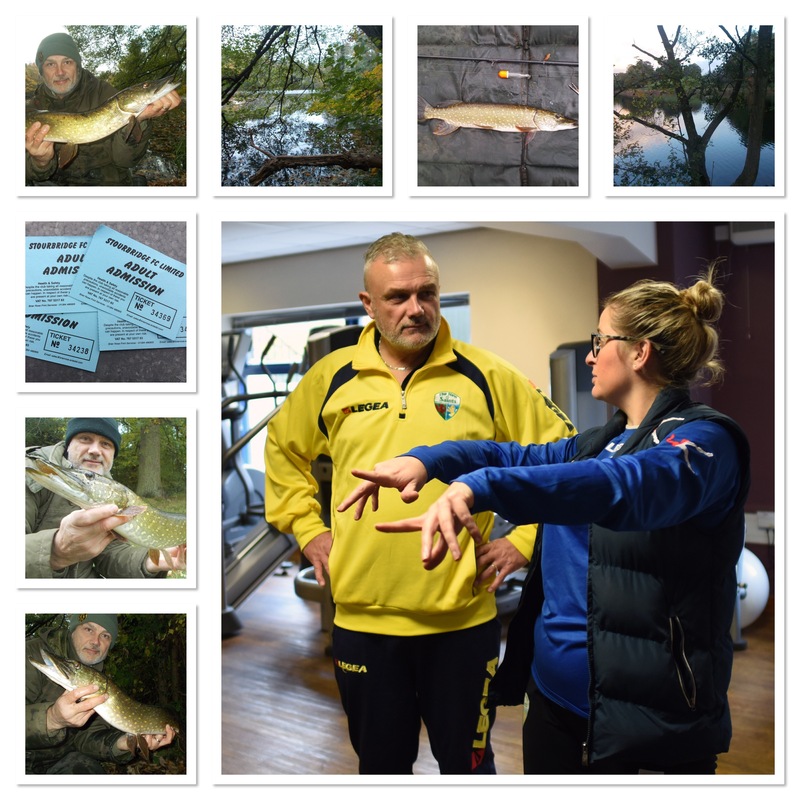 Pike fishing isn’t something you can just have a go at. It’s not like the carp angler who fancies catching a few barbel. It’s a totally different ball game altogether and there’s a lot more research and preparation that needs to be done before you hit the bank-side. With the local rivers being in decent condition as far as pike potential is concerned, my third outing was an afternoon on the middle Severn. I fished a peg where I caught a ’20’ a few seasons back – also losing a bigger fish, although still in the same weight bracket. With just a couple of vehicles on the car park, the first two pegs were taken by pleasure anglers. Heading just fifty metres upstream, my chosen destination was so overgrown it looked like it hadn’t seen an angler for months. My previous experience of the swim was that I didn’t catch many pike from there, but when I did they were very good fish. That, of course, is another way of saying I blanked a few times on there and that was the case this time round as well. However, I love the great outdoors and it’s always good to be out and about regardless. Following the excursion on the river, it was back to another lake in the county of Shropshire (Kinver Freeliners, Dudmaston, this week) to see the week out. In fact I made two visits and this time, as opposed to the river, I caught. Make sure you watch the ‘Pike on!’ video as it’s quite unusual in that I get film while I’m out in the lake. From casting to striking, playing and netting, it’s all in there. Usually I’m limited to close-up fishing, but this time I’m able to capture action from a distance. I’ve enjoyed myself out on the bank pursuing pike this week and I intend to get back out again after the species in due course. My problem is fitting everything into my week. It’s not like I don’t get out much – five sessions this week is pretty decent – but even then I always feel like I’m trying to pour a gallon into a pint jug. Not that I’m complaining though, far from it. I fully appreciate the fact that I fish as much as I do. 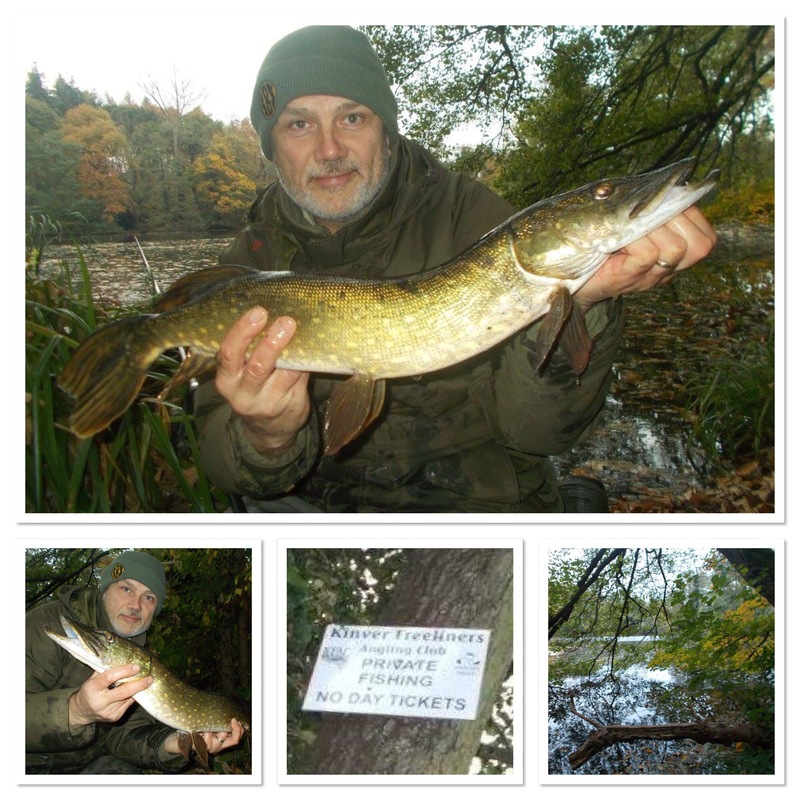 Keeping it in this week’s entry, as it’s pike-related, last I ended up in A&E as I set the hooks well and truly in my hand. This happened as I was loading the car, I hadn’t even got to the water’s edge. As you can see from the photographs below, the hook was well embedded. I nip the barbs off two of the hooks, keeping the treble just for the deadbait. Yeah, you’ve guessed which hook sank into the flesh. I was in and out really quick though and within an hour or so of leaving, I was on the canal grabbing a shirt session before dark. I added a couple of games to my football challenge list for the season this week, both of them on the weekend. First up was Stourbridge on Saturday in the FA Trophy followed by TNS v gap Connah’s Quay a day later in the Welsh Premier League. The WPL experimented with Sunday afternoon games this season, which were difficult for me with church. However I don’t think it has worked out too well and clubs have been allowed flexibility. I know TNS has changed all scheduled games to another day, so that suits me. As well as doing TNS Radio on Sunday, which I enjoyed very much, I also did a half-time chat with a walking football team from Sheffield. They had just won a competition, beating TNS in the final, and featuring the likes of Blackburn Rovers. In addition there was an Academy presentation, so we interviewed the young lads who were there for awards. There’s loads going on at the club and that features in my latest column on the website. Have a look, I even manage to sneak a barbel in there. As presenter and commentator on TNS Radio, I’m used to being on air, but the last couple of weeks I’ve also been the guest on a couple of other shows which are developing into regular slots. Both based in Wales funnily enough, the pull of the country is quite intense on my life, to put it mildly. First up it was with Sam and Byron on Bronglais FM’s breakfast show from Aberystwyth. We talked mostly Welsh football but fishing came into it. That was reversed a day later when I joined Jeff on his Point FM show from Rhyl. Basically it was fishing, which is the purpose of that feature. The feedback was excellent and I’m looking forward to next week.